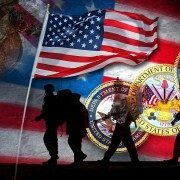 Independent research conducted by Omnitracs confirms that veterans make for excellent truck drivers. The data revealed a few key data points: for instance veterans had 42 percent fewer accidents than non-veteran drivers, veterans achieved 98 percent more miles driven, and veterans had 59 percent fewer voluntary terminations and 68 percent fewer involuntary terminations. According to the study, veterans’ trucking skill and job dedication can be at least partially attributed to the skill sets that the military brings, such as discipline and understanding of policy and procedures. Here at Progressive Truck Driving School, we pride ourselves on training our veterans and helping them to jump-start their career after the military. We offer veterans assistance, including tuition assistance programs through the Workforce Investment Act (WIA). You can learn more here. To apply to Progressive Truck Driving School, please complete this application. Congratulations Cubs from Progressive Truck Driving School! The Cubs are World Series Champions! 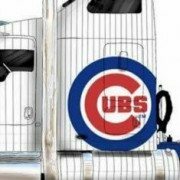 As a Chicago company, Progressive Truck Driving School is proud of the Cubs and all of our Chicago sports teams! Way to break the curse, Cubbies! The custom Cubs paint job is from DB Custom Trucks, located in Antioch, Illinois. Interested in getting your CDL license? Apply to Progressive Truck Driving School. https://cdltruck.com/wp-content/uploads/2016/11/Cubs-Truck.jpg 235 540 Lucy Kokor https://cdltruck.com/wp-content/uploads/2014/08/Progressive-Truck-School-Blue-Mid.png Lucy Kokor2016-11-03 22:09:522016-11-03 22:29:29Congratulations Cubs from Progressive Truck Driving School!